This security company install a wide selection of home and commercial alarm systems. The latest CCTV installations allow you to monitor your home via smartphone for 24 hour security. 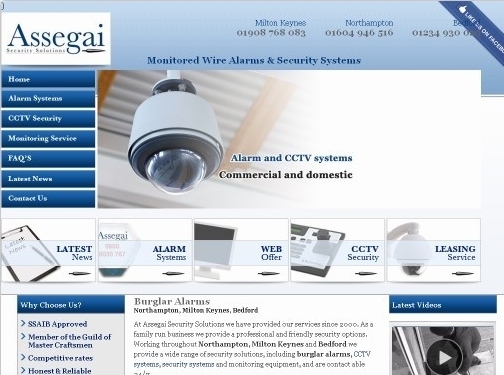 UK (Newport Pagnell) based company - established in 2000 - offering alarm systems for private and commercial premises. Website includes details of their products / services (including video presentation on home page), accreditations (SSAIB Approved, Member of the Guild of Master Craftsmen), FAQs, news section, full company contact details including company registration and VAT numbers.